We are back with another tweet by tweet review from our twitter reviewer Tim Schilling. 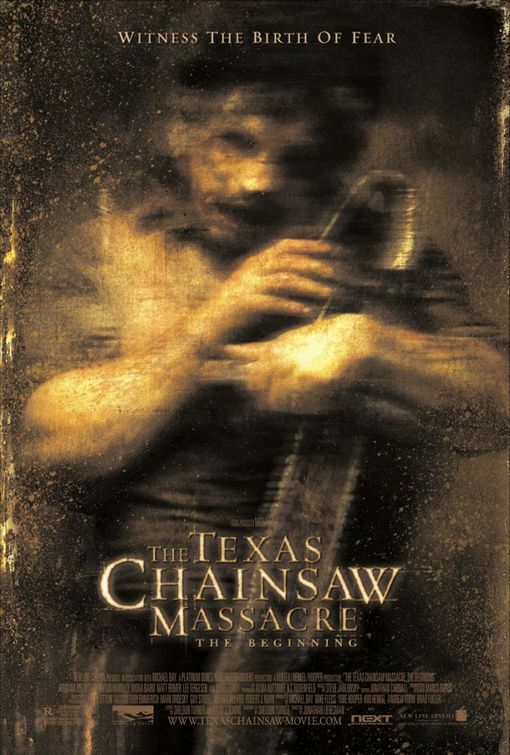 Earlier today, he reviewed “The Texas Chainsaw Massacre” remake and now he is back taking a look at the prequel. The film did okay at the box office making $40 million on a $17 million but received harsh reviews from most critics who called it unnecessarily grisly. Does it stand up to the remake? 0:02 She’s having a baby you moron, she’s not dead. 0:13 So the reason behind Leatherface’s killings is cause he couldn’t work at a meat factory? 0:24 What’s with these characters and Mexico in this series? 0:27 Oh no they hit a cow and flipped over! Is 50 First Dates a spin off? 0:32 At least in the remake the sheriff didn’t kill people out of the blue for no reason. 0:45 I’m gonna cut your head off! You just keep sweet talkin me. 0:46 They eat people in the prequel, but not in the remake. What happened? Did they go vegan? 0:54 There’s no way they could have pushed that 752627 pound woman to close the door. 0:56 Leatherface and his freaking meat hooks. Forget about the chainsaw. 1:03 “tell me where the girl is!” as I cover your mouth to stop yelling. Makes sense. 1:11 Isn’t this supposed to be ‘the beginning’? So why is Leatherface know so good at… taking their faces. 1:20 Youre just mad that she found our y’all are inbred. 1:23 These movies need to be renamed to Texas Chainsaw and Jumping out of Windows Massacre. 1:28 That ending was really the only good thing of this movie. For a prequel, Texas Chainsaw Massacre: The Beginning was pretty pointless. It hardly gave a reason why this family is so messed up. If you look at is as as just another sequel, it’s basically the same thing as the other movies in the series. Nothing new was brought to it.